This guide is meant to help you as a small business owner get an idea how your rankings can be improved on Google and Bing for local Chicago searches. Would you rather stay away from all the technical know-how? Take a look at our local SEO services. There is quite a bit of technical know-how involved, especially when it comes to technical SEO, but I'll try to make as user friendly as possible with the use of screenshots and examples. You can also adapt this guide to put together a local SEO campaign for other areas. Simply put, SEO is the process through which you try to get more traffic and leads from search engines such as Google and Bing. If only thinking about all these leads makes you quiver with anticipation, hold on just a minute. The distribution of paid and organic search results. Google and the Google logo are registered trademarks of Google LLC, used with permission. To be fair, the "chicago lawyers" search is pretty broad, or vague. A potential client may use a more specific phrase or "keyword" as they are called. They might be searching for injury lawyers, bankruptcy, injury, divorce, family, DUI, criminal, employment, foreclosure, workers comp, etc. You get the idea. You can have your practice shown on Google in the Map Pack or in the organic results without paying them. You can also pay Google Ads (former Google Adwords) to show your ads on top of the results page. The costs for that range from $1 per click for the keyword "lawyers committee for better housing chicago" to a whooping $470 for "best accident lawyers in chicago". The costs are determined (and also vary) based on competition and on what others are willing to pay for a lead (usually depending on how profitable such a case would be for them). It is very hard, sometimes impossible to work with a business that gets regular bad reviews. The first thing you should do, before hiring a SEO OR with the help of the SEO you hire is work on your customer service, improve your own service and generate better feedback. ETA - how long it takes the contractor to get to your house. keep the cost low. Because the commute is shorter, the service cost is lower. keeps you satisfied. By showing local contractors that do service your area, you do not waste any time by calling businesses that will refuse to help you because they are too far away. Proximity is maybe the most important ranking factor, but it does vary based on the service industry. For example, if you want to order a Pizza, you will be shown Pizza restaurants that are really close to you so your food does not get cold by the time it gets to you. On the other hand, if you want a really good and communicative family lawyer, you might be willing to travel further away once in a while to meet with her. Proximity is one of the local SEO factors that applies differently to the organic results and to the map pack. If you want to rank higher in the organic rankings and get shown on the map pack, you need to have a Google My Business listing. Companies that have been in business for while might have an unclaimed listing, that they do not even know about it. That listing is being used to show details about your business such as name, address and phone number (abbreviated as NAP by local SEO experts), information about your products and services, a link to your website, current offers, reviews, posts, etc. Additional features are regularly added or updated and it is a good idea to know about the latest developments as they might give you a competitive edge. Google Search - in the Local Pack. Google Search - in the Local Knowledge Panel. Local Finder - the results displayed after you click the "More Places" link located under the Local Pack. Google Maps - on the Maps website, Maps app on your smartphone. For general SEO and local organic rankings, links are the most important factor.For the Local Pack, they are the second most important ranking factor. 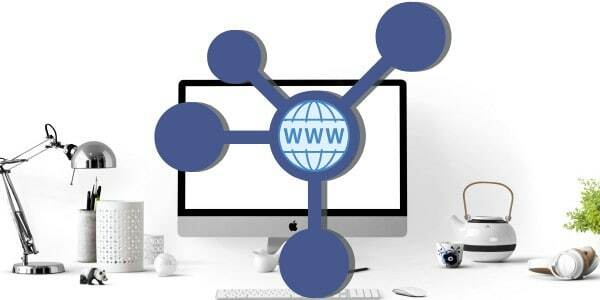 It goes without saying that you want to have good, relevant local backlinks to your website. Google has a love/hate relationship with links. They love the naturally acquired links and sometimes penalize self-made links. But, unless you are a big brand, links are almost never naturally acquired and you do need them if you want to rank. There have been entire books written on linkbuilding, so I will not even try to summarize them in couple of paragraphs. Instead, I'm going to try to give you an idea why they are important and when they can get you penalized. The foundation of Google's success is built upon their algorithm using trusted links as a ranking factor and, because of that, delivering better results than other search engines. Google views links from other trusted websites to your website as a vote for your website. Not all links are equal - a backlink from whitehouse.gov or nytimes.com might be hundreds of times more powerful (or more) than a link from a random blog. Not all links count - some links such as paid links have to be marked as being such (by using the nofollow attribute). Because a lot of people have tried to manipulate Google rankings, some links (quite a lot) and linkbuilding strategies can definitely hurt your search engine traffic and even get your website penalized. editorial links are more powerful than a self-created link, such as a directory listing. Because links are seen as a vote, an editorial link inserted in someone else's content counts as an independent vote, whereas a directory link from a listing you created counts as you voting for yourself. some directory links still help you get better rankings and might even send you some direct, referral traffic. Usually such links are from niche directories or local Chicago directories (if only Chicago businesses can sign up, having your business listed there sends a location signal to Google). there is a myriad of ways how you can get relevant, good quality local links. Most of the ones worth having are not easy to get, they are not cost free (you should not pay for the link itself, but you still need to invest time and money in creating content and forming relationships with other Chicago businesses and associations) and come from websites that have a life of their own and are not made for the sole purpose of creating links to other websites. an ISA link for a Chicago arborist. This establishes the fact that the business listed offers tree services and also establishes the fact that they have been specifically and extensively trained for that purpose. a directory listing at http://www.localfirstchicago.org . Remember to keep your NAP (Name Address Phone) consistent with what you have on your Google My Business listing and on your website. As you can see, the strategies required to obtain those links are different. For the ISA link, you need to complete a course and get a certification. For the directory listing, you only need to add your business information and sign up, for the guest post you need to contact the webmaster and pitch them your article idea, for the Chicago newspapers you need to contact them or send out a press release. These are just a few of the strategies you can use to acquire relevant Chicago links. There is no exact science to how it should be done and the more creative you get, the more chances you have to succeed. Remember the NAP that I keep on mentioning? That has to be on your website as well and it needs to match the other NAP mentions on the web. Some good place where to place this is on the Contact Us Page and in the website footer. Citations are mentions of your NAP on different websites such as directories and blogs. They can be structured citations (on directories, since all the businesses listed there have there business info structured identically)and unstructured citations (for example on a local Chicago city guide blog where your restaurant is mentioned). use specialized tools such as links and citation tools. monitor your competitors' citations and replicate the ones they have and you don't. use data aggregators to distribute your business data to other websites. find local and niche websites. find unlinked mentions of your website, contact the webmaster and ask them if they can also add a link. find co-citations. If a page links to 3 of your law business competitors, that means that any other business added there is more likely to also be a law business. A link from such a page will add more niche relevance to your website. Once again, make sure you keep your NAP consistent for all your local citations. branded searches. For example, a lot of searches for Implicit Success Marketing Chicago SEO would tell Google a few things such as the fact that the company is located in Chicago or close to it and that is relevant to SEO searches. click-through rate. Let's say that Google displays your business 100 times on the first page on the first position for a certain keyword (in reality, Google continuously tests and shifts a percentage of the results, based on searcher location, browsing history, etc). Then they look at how many people clicked on your result to go to your website. If your result got 25 clicks out of 100 and your competitor's result, which is at position #2 got 50, then they might consider your competitor's result more relevant to what people are searching and move them to position #1. Other interactions with your business listing, such as clicks on the phone number (phone calls), bookings and driving directions are also considered. time on website. After clicking on your result, if the visitor only spends 20 seconds on your website and then goes back to Google and searches for the exact same thing again or clicks on another result, this might tell Google that they did not find what they were looking for on your website. This varies based on the type of search or keyword used. For example - when it comes to "transactional searches" where people are searching with the intent to buy something, they might be just shopping around and hopping from one website to another to compare prices, reviews, etc. An example of such a search is Chicago web design prices. in-store visits. Through the use of apps such as Google Maps, Google can track your visits in the brick and mortar store and connect them to the search for best ethnic Chicago restaurant you made last night. Rest assured, they only use aggregated data. What that means is that they collect data from thousands of similar Chicago searches and draw conclusions from the aggregated data that does not identify you on a personal level. although Facebook ads work well for some local businesses, the organic reach is abysmal for most of them. I tell my clients to treat reviews the same way they treat money. Some of them listen, some of them don't. I'll let you figure out who's more successful. Real reviews are a win-win situation. In the process of a local business trying to collect only 5 stars reviews, they become a self-fulfilled prophecy. The easiest way for that business to get those positive reviews is to actually improve their products and customer service. Negative reviews act like markers that show you where and why you need to improve your services. In the end, everybody wins - the customer because they get better service and higher satisfaction and the business because, through the reviews they get more new and repeat customers. If you have the knowledge how, you can do all the steps mentioned above manually and still get good results and better Chicago search engine rankings. 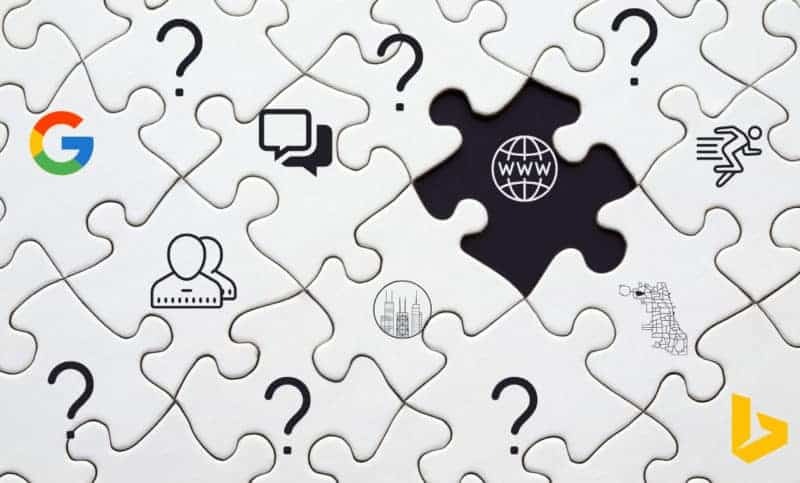 But you can save yourself tens of hours of work and a lot of frustration by using specialized tools and doing your keyword research before starting your SEO campaign. each market is different. 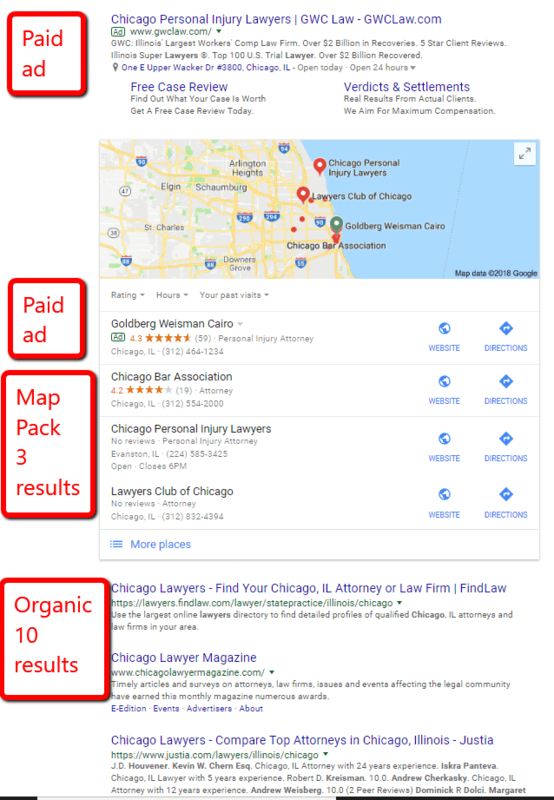 Running a Chicago lawyer SEO campaign is much more difficult, competitive and costly than running a Chicago pet store campaign. A pet store earns considerably less from each client than a lawyer does and does not have the same budget to invest in SEO as a lawyer does. there is a lot of knowledge required to improve the loading speed for your website, for example. And it is just one component of an individual step needed to improve your online presence. for some of the steps, such as keyword research, citation and link building, you have to actually go through them in order to figure out which is the best way to go. It depends on what you need to accomplish with your website and on what your budget is. SEO is continuously changing and results are based on your market's competitiveness. SEO results are not guaranteed. Same as an workplace accident lawyer cannot guarantee the success of your case, neither can a SEO guarantee placements on Google. However, a good SEO would not stay in business if they did not deliver satisfactory results. One of the things you should ask your Chicago SEO is a monthly report that summarizes the work they've done. SEO takes a few months to experience results, especially if you have a brand new website and business with no presence online whatsoever. A faster alternative to SEO is running paid ads on Google and Bing (as of August 2018, both search engines offer coupons to new advertisers). Doing both SEO and PPC might be a good idea if you can afford it. Google has repeatedly said that running paid ads has no direct impact on your organic rankings. And, for most part it does not, but it may have an indirect impact on them. For example, let's say that someone searches for a Chicago roofing contractor and your Google Ads result is displayed. They click on it, browse your website a bit, but they do not hire you. A few weeks later, they remember about your result. or maybe the find the slip of paper that they wrote you company name on and they search for "Company Name Chicago roofing". Remember how branded searches are considered a good behavioral signal? In fact, Wil Reynolds of SEER Interactive ran a test in 2013 that shows the tight relationship between paid and organic results on Google and how they affect each other. Let me know if you have any questions or suggested updates.